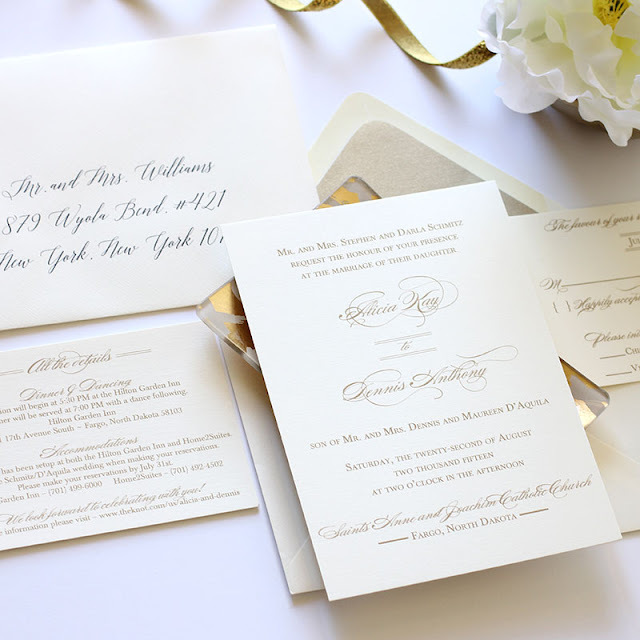 in metallic gold on off white linen stock is truly a classic. balances perfect with the roman font. A beautiful stand out design that will stand the test of time.